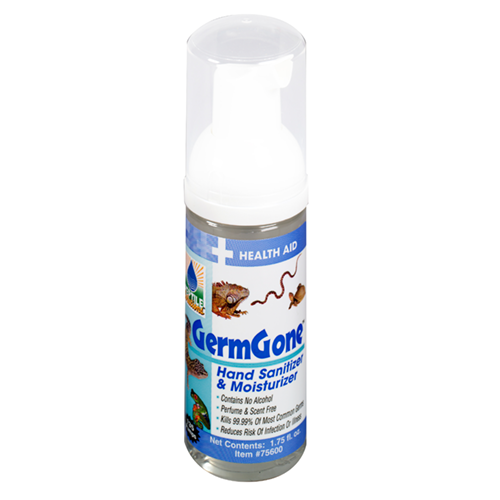 GermGone® is a ready-to-use, foaming hand sanitizer for use on reptiles, amphibians, other herptiles, baby birds and freshwater, marine or pond fish! 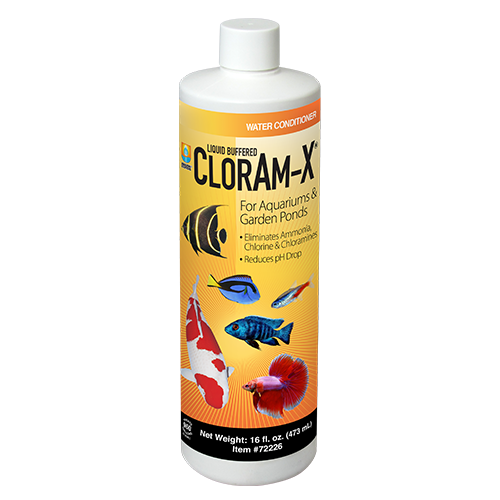 Utilizing new dispensing technology, GermGone® will eliminate 99.99% of the most common germs and reduce the chances of infection or illness transfer from or to your aquatic pets. For adults, one pump dispenses a sufficient amount to completely sanitize both hands. For children, reduce the amount as necessary, typically 1/4 or 1/2 of the adult amount. 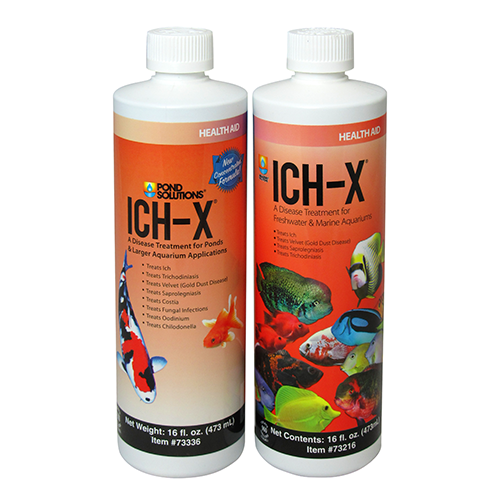 For most effective bacteria elimination wait for 15 seconds after use before handling fish. Use of soap and water immediately after using GermGone® will deactivate this product and should be avoided. 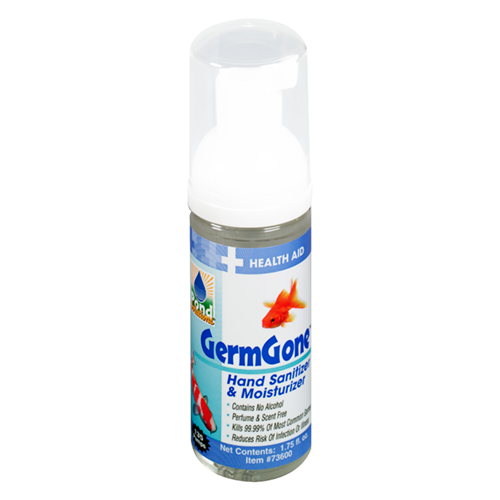 Use GermGone® before and after handling any fish or for effective, non-drying and alcohol-free sanitation of hands any time. 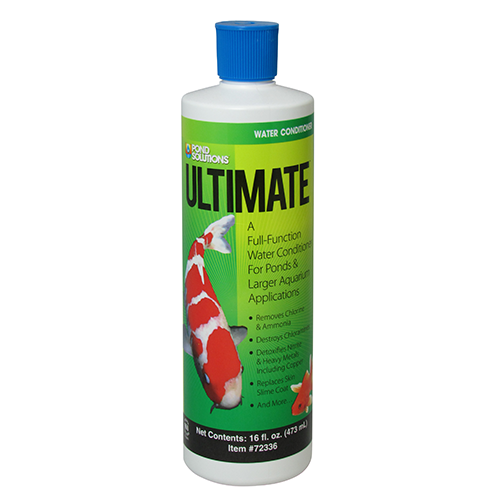 Eliminate the gooey, sticky, odorous conditions common with most other hand sanitizers on the market, and the risk to your fish or aquatic environment too! Use GermGone® before and after handling any fish or for effective, non-drying and alcohol-free sanitation of hands any time. Eliminate the gooey, sticky, odorous conditions common with most other hand sanitizers on the market. If eye contact occurs rinse with running water for at least 15 minutes. Consult a physican. Never add to aquarium or pond water. 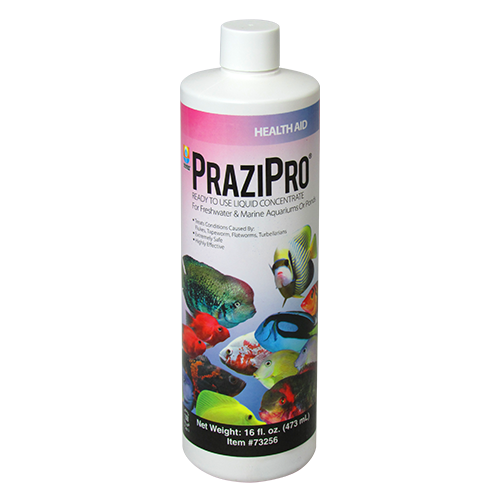 This product is a hand sanitizer and is not to be used as a disinfectant for aquariums, ponds, nets, filter boxes, nor any other object or device used in aquariculture. Because we care: GermGone® is non-toxic and extremely easy to use.